Vacationing in Cancun brings forth images of paradise, laying down by the beach and enjoying pure bliss. 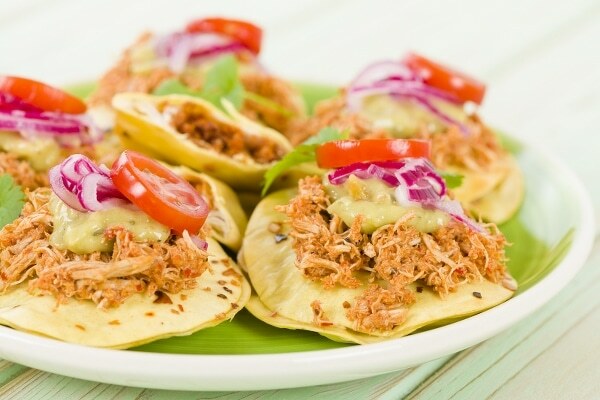 Krystal International Vacation Club knows that vacationing in Cancun also means dining at new restaurants, enjoying cuisine and restaurants that you may not have had before. The food during the vacation can be a big part of the experience, and for some, it’s probably one of the most important aspects. Here are some suggestions for great restaurants to go to in Cancun. Les Cepages is a French restaurant in its 4th anniversary, serving imaginative dishes with fresh, high quality ingredients. Their prices are significantly lower than others in the Hotel Zone of Cancun, considering the quality of their food. Their signature dish is a roasted rack of lamb with a mint demi-glaze. This can be a great restaurant for trying some cuisine you may not have tried before at significantly lower cost. Peter’s Restaurante has only been open for two years and it has already made TripAdvisor’s top 3 restaurants to eat at in Cancun. It’s locally owned and serves delicious dishes with shrimp, veal, beef, and pasta (vegetarian options are available). It also features a small wine list, though the selections of wine are all superb. Du Mexique is a unique restaurant in the downtown area that combines Mayan and French cuisine. The ambiance is described as “divine,” with each location in the restaurant looking its best, and it’s a great place to have a celebration of any sort shares Krystal International Vacation Club. The chefs are flexible as well, offering the option of requesting a dish if you don’t see something you want on the menu!